For law observation and order A.E.I students democratically casted votes for their new students union leaders in elections that the school administration organized last Friday, 17 May. The new office bearers declared to protect and enforce the school rules and regulations. They shall also carter for welfare of every student as expected from their respective disciplines; sports, sanitation, entertainment, library and cafeteria. “Leadership is a challenge, so is life, but with our hands held together we can create a good Andiamo Campus” says Charles Mpembeka; the newly appointed Head boy with his accomplices cheering in agreement. 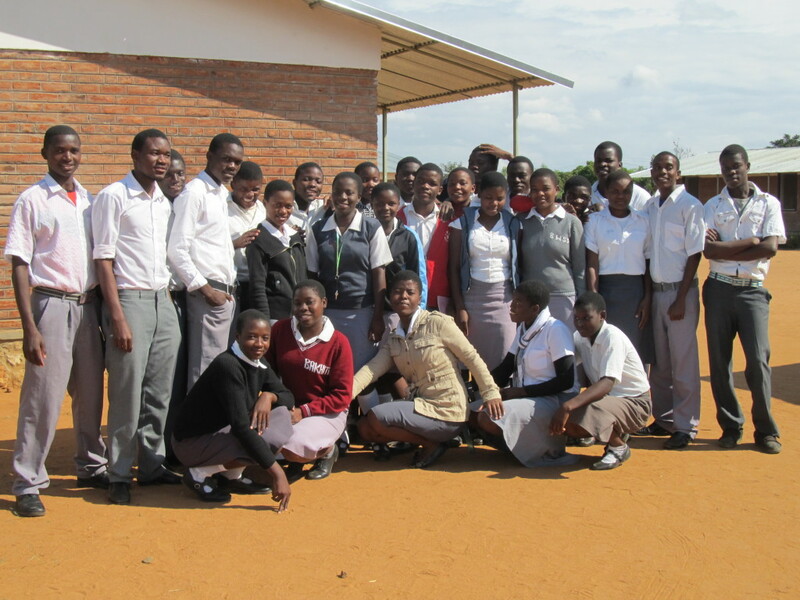 This entry was posted in Education, News from Malawi, Social Development and tagged AEI. Andiamo Education Institutions, Andiamo, Charles Mpembeke, Harry Pongolani. Bookmark the permalink.